"The Moyle sisters, creators of the Hello!Lucky greeting card and design studio, offer an ebullient board book devoted to a magical mother . . . Readers get some stardust sprinkles as well: 'Kid, you’re magical, too!'" 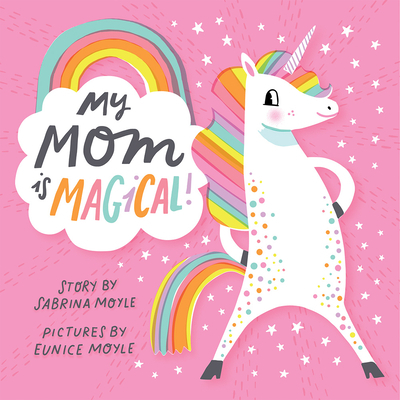 "A series of wild metaphors and analogies celebrate Mom; the near-blinding bright colors and kinetic, even chaotic illustrations perfectly complement the exuberant text . . . Superlative silliness."